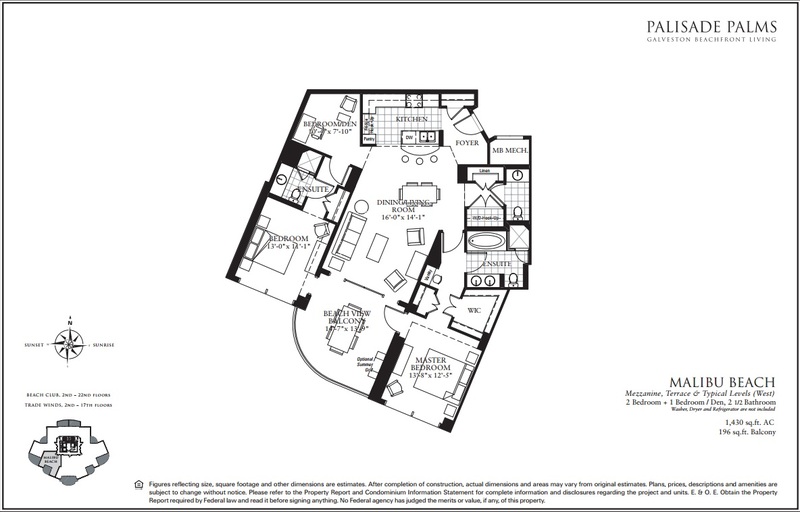 Enjoy sunset views from this Signature unit with 10 ft ceilings on the 22nd floor. 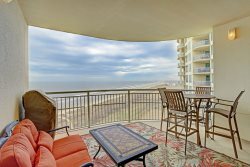 This dog friendly unit insures that the whole family can go to the Beach! Beautifully decorated, the unit is both inviting and comfortable. The living area has a Queen size sofa sleeper and a sectional couch with a chaise for lounging and watching a movie on the large wall mounted flat screen TV. The floor to ceiling windows provide loads of natural light and fabulous beach views! This kitchen is fully equipped with kitchenware and stainless steel appliances; everything you will need to put together snacks or a full meal. The seating at the breakfast bar allows for the quick meals and the Dining table seats four more. Master bedroom features a king size bed, breathtaking views, and balcony access. Master en suite has dual sinks, tub, and glass walk in shower. Second bedroom has two full size beds, TV and en suite bath with walk in shower. Third bedroom has twin size bunk beds. Grab the family and head to the Beach! This property does allow pets. Palisade Palms amenities are numerous including a resort type pool, boardwalk directly to the beach, game room etc. Top on my list of favorites are the beach, balcony view and location. I had the wonderful experience of staying at this condo for several weeks. This unit has everything you would want for a vacation stay. It has recently been redecorated and is well maintained. The Strand is about 2 1/2 miles away with restaurants, shops and art studios. If you have bikes bring them, you can ride on the sea wall and to Arlan's grocery store. My favorite restaurants, Gaidos, Nicks, Sunflower Cafe, Black Pearl, Millers and the (Porch Cafe, limited hours, located in Beach Town 1/4 mile away). Lots to do in Galveston and this is a wonderful home base! Everyone was extremely kind and helpful. This condo was so amazing. The view and accommodations were spectacular!